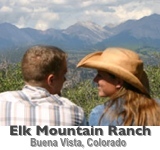 Elkhorn Ranch offers adventure for your entire family. 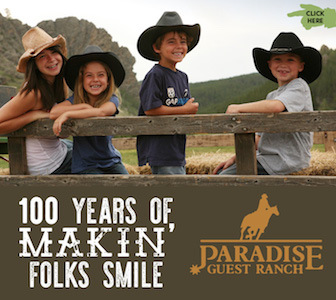 Just outside of Yellowstone National Park, this all-inclusive dude ranch has been a destination for families since 1922. 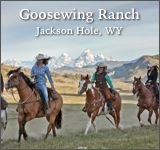 They offer horseback riding, fly fishing and hiking; and white water rafting is available 15 minutes down the road near Big Sky Resort. Of course, for guests in need of a quiet break, there’s time to relax on your cabin’s porch. Their children’s program offers fun and friendship for children ages 6-12. 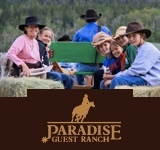 Watch your children’s independence and confidence soar as they learn to ride, play outdoor games and enjoy ranch experiences with new buddies, including the Peanut Butter Mothers. Families, old and new, set the tone during the summer and the comradery is popular with many couples and singles. However, for quieter days with more flexibility late August and September are breathtaking as fall makes its approach. 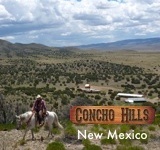 Whichever your preference, visit Elkhorn Ranch for a refreshing getaway from everyday life!